Uranus, the planet of dramatic change, entered the fiery sign of Aries on May 27, 2010, the first time it has done so since 1935. 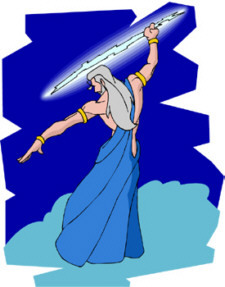 Jupiter, the planet of good fortune, will join the revolutionary planet Uranus in Aries on June 8, 2010, intensifying the transformative energy of the Great Awakener. Uranus is the planet that influences the striving for individuality and independence of adolescence and the questioning of one’s life path at the mid-life crisis. When Uranus conjoins, squares, opposes, or trines a planet or angle in your natal horoscope, you will feel like breaking from your personal traditions and rituals to experiment with new clothing, hairstyles, foods, healing modalities, relationships, place of residence, or lifestyle choices. Uranus will bring sudden change to your life to rouse you to a higher level of consciousness. It will help you let go of those things that are no longer working in your life. It will help you get rid of that which is restricting you. You will be moved to implement more evolved, quickly moving, and liberating ways of being and doing. You will feel different from how you think you “normally” feel. You will crave new experiences and interaction with others who are different from yourself. You also will need time alone to integrate new aspects of yourself, qualities that have always been there but have not until now been catalyzed into action. You will need space to experience these new qualities and freedom to grow, evolve, and become more of who you truly are. Nearly all flower remedies utilise the power of sunlight to capture their therapeutic vibrational impulses. However, the Moon Flowers of Aquarius Flower Remedies are made under moonlight and have a very different energy to solarised flowers. They are used to heal the wounds we carry from the past, be that from this lifetime or previous lives. The absorption of moonlight into flower remedies allows their healing to reach down into our souls, helping us to release deeply held dysfunctional energetic patterns we have carried with us for many years. The Moon shines at night, when we sleep and dream. The sub-conscious is the lunar realm. Its light, reflected from the Sun, is pale and cold, making the world look very different. Within the realms of the Moon there is less to stimulate our senses, more opportunities for our inner world to emerge. Unlike the Sun, the lunar disk constantly changes. The Moon speaks to a different part of our being, yet a part that is as important to us as our solar spirit, life-force or ego. The solar part of our being is extrovert and projects, while the lunar part is introvert and reflects. This solar part can be considered masculine, while the lunar feminine. The Sun is our spirit and the Moon is our soul. Like the spirit, the soul is eternal. If we open our hearts and minds to the possibility that our eternal soul incarnates, not once but many times in the physical form, each time growing, maturing and evolving, we begin to perceive life with more depth. We can reconcile within us traumatic, tragic, negative or unlucky events if we believe that as their effects filter down they provide material from which the soul can grow and evolve, become wiser, more experienced and better equipped for future lives. Then dilute that flower water down even more to the point that a laboratory could only find a trace of the plant material left, shake it up, add brandy to preserve it and take 4 drops of the solution three times a day for a month to help resolve your problems. Right! That was a load of snake oil if I ever heard one. How could anyone be so gullible? My friend explained that they were like homeopathic remedies in that they acted like a vaccine where a tiny amount of a substance inspires the body’s natural healing response to come to the fore. Better yet, they were far too dilute to be toxic and had no significant side effects. This was intriguing to me because I was already using herbal remedies for medicinal purposes. But then she started waxing poetic about the soul qualities of the plant working synergistically with the human spirit and that’s where she completely lost me. All healing comes from within and Self Heal flower essence helps us find the source of that power. It is a great flower essence when a person has lost hope in their own healing abilities. It is equally useful for the hypochondriac that uses illness as a way to receive attention from others.